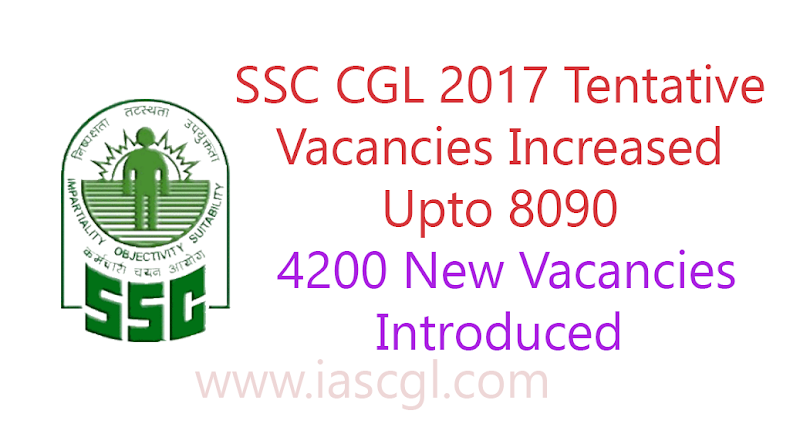 Staff Selection Commission introduced new vacancy for CGL 2017. Staff Selection Commission introduced new vacancies for combined graduate level exam 2017. Commission has released the list of new SSC CGL vacancies for Combined Graduate Level Exam 2017-18. Earlier, the tentative vacancies were 3805 and in this notification apx 4200 new vacancies introduced. Candidates can check the latest tentative vacancy details at official site of SSC or from the direct link given below.